This entry was posted in Recovery & Support on December 16, 2015 by Baxter Ekern. “Oh, No! It’s happened again!” These are the exasperating words uttered by innumerable family members as they face the reality of their loved one’s self-defeating and damaging behavior. Whether it is the use of drugs, disordered eating, pathological gambling or any number of compulsive behaviors, the time has arrived to interrupt these vicious, destructive and repetitive cycles that continue unabated. So, you decided to do something about it. The question is, “What?” Perhaps it is time for a formal Intervention. But where to begin? How on earth do I find a qualified Interventionist? What are the questions to ask? What actually happens in an Intervention? How do I find the appropriate treatment for my loved one and what in the world happens after the Intervention? The purpose of this article is to provide just such information regarding how to prepare for an Intervention with a loved one. There are a number of misconceptions regarding Interventionists. One of these is that the Interventionist must be a foremost authority on the issue with which your loved one is struggling. It is crucial that the individual you choose must be highly knowledgeable about the issues you are facing. 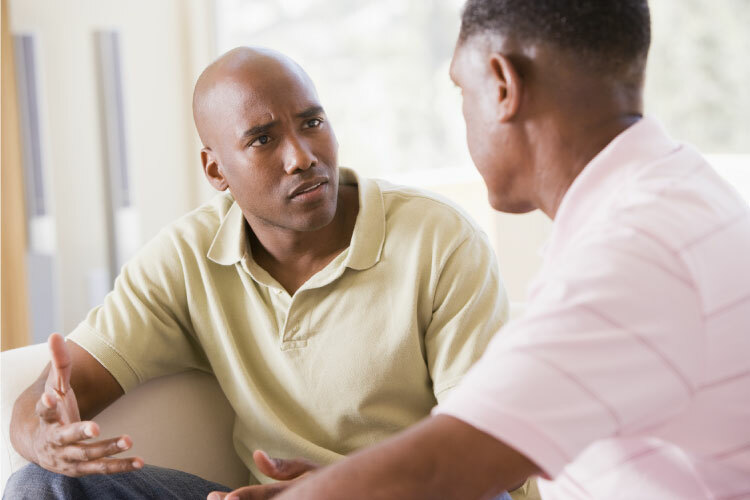 If your family member is struggling with chemical dependency, you want an Interventionist who is well versed in the disorder and proper treatment methods. However, what you really need is an individual who is a foremost authority and expert on Intervention. Knowledgeable about the disorder, yes, but EXPERT on Intervention. It is important to understand that Interventions and counseling are not one and the same. Many highly trained and extremely qualified therapists are not particularly adept at Intervention. Remember, the client in this relationship is not the addicted loved one; the client is the family who has hired the Interventionist to assist. Knowing this, it is crucial that you hire an individual who is experienced, trained and credentialed in the field of Intervention. A number of excellent organizations provide training and education in the process of Intervention. Several organizations also offer credentialing in Intervention as well. The most respected of these credentialing bodies is the Pennsylvania Certification Board. This state board offers the Certified Intervention Professional credential to individuals who have met the rigorous educational and professional requirements set forth. This is a highly coveted professional credential, not a certificate offered by a training organization and is recognized in 47 states as well as internationally. It is highly recommended that you select an individual who maintains this credential. Two excellent sources for locating an Interventionist can be found online. The Association of Intervention Specialists, and the Network of Independent Interventionists are both organizations that thoroughly vet their members and hold them to a high standard of professional ethics and practices. You will find a listing of members on their websites. Also, quality treatment centers will be able to guide you to Interventionists they have worked with and have confidence in. Organization such as The National Association of Addiction Treatment Providers and the International Association of Eating Disorder Professionals can direct you to a treatment program if needed. Ask the Interventionist or treatment program you are working with to provide references. Obviously, no one will direct to towards someone who will give them a bad review, but these types of conversations with individuals who have worked with the Interventionist can be invaluable as sources of information not only on the individual you are considering to assist you, but also their own experiences in the Intervention process. Next, families have the right to expect an in-depth initial consultation and overview in advance of engaging a professional. Some Interventionists assign a fee to this initial assessment while others do not. What really matters is that the Interventionist takes to time to fully understand your situation and makes a sound judgement as to whether or not an Intervention is clinically appropriate and exactly how much time and effort will be involved. Often, Interventionists spend many hours with the family and/or team in advance of sitting down with the loved one. Your Interventionist may have done this hundreds or even thousands of times, but it is typically the first time you have had to deal with such an issue. Your questions and concerns deserve to be addressed. Professional Interventionists realize the critical nature of the work to be done and take adequate time to prepare. Occasionally a family wants to move forward immediately, often the same day they contact the Interventionist. While this may be appropriate in limited cases, it is more often proper to take necessary time to prepare. This generally does not take a great deal of time, but to rush into the meeting with your loved one unprepared is to invite more of the same. It is time for something different! Through no fault of your own, what you have tried has not worked. Now it is time for a well-planned and practiced alternative approach. It is also recommended that you work with an Interventionist who takes the team through a rehearsal. Sitting down with your loved one can be daunting and draining. Taking the extra time to rehearse what will be send and done, including how to overcome objections your family member may present is well worth the time and effort invested. Most Interventionists also offer ongoing support for the family while their loved one is in treatment. Again, this may be a first for the family, but the Interventionist has been down this road many times. He or she will be able to guide you when you receive difficult phone calls from your loved one threatening to leave treatment. The Interventionist can help translate the terminology being used by the treatment team and guide you into your own recovery as well. These are family diseases that impact all members of the clan not just the addicted loved one. Finally, what about doing it yourself? A number of good books, such as Love First, by Jeff and Debra Jay can provide guidance. In any case, it is highly advisable that you at least consult a professional. Your loved one may have years of experience in pushing your buttons and pulling your levers. The presence of a trained Interventionist can help make a very difficult process go much easier and lead to a better outcome. An Intervention is a planned, structured and rehearsed process that can and does lead thousands of once hopeless individuals and families reach out and find recovery. You are not alone. Help may be just a phone call or a “click: away. What positive experiences have you had with interventions? What worked well for you and your loved one? 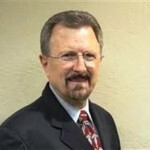 About the author: Dr. Jerry Law is a Board Certified Professional Christian Counselor, a Board Certified Intervention Professional and a Master Certified Drug Alcohol and Addictions Counselor. Jerry brings compassion and a first-hand understanding about how critical it is to break the cycle of addiction in the professional world as well as within the family. He facilitates Interventions for Eating Disorders, Chemical Dependency and Process Addictions.